Buying into a franchise is one of the quickest and easiest ways to jump into the business world - especially for potential entrepreneurs that may not have the skills or creativity to develop their own business concept. Buying into a franchise can also give a new business owner a huge leg up on their non-franchise competitors as much of the initial struggles of starting a business, like brand development, strategic planning and market research, to name a few, usually takes years to complete and perfect - not to mention an enormous amount of expense. But, when buying into a franchise system, these challenges have already been completed by the franchisor. Further, franchisees realize a tremendous competitive cost advantage via bulk purchasing through their franchisor, marketing support (even locally) and access to low cost equipment and construction resources. Nevertheless, franchisees still face many hurdles; one in particular - financing. These business owners are still at the mercy of the financial industry when it comes to obtaining the financing needed to initially purchase a franchise or for growth capital in an established franchised business. In any market, financing a small or new business is difficult. Add in a poor or sluggish economy and difficult can become impossible. While franchises have many benefits for entrepreneurs, banks and other lenders tend to look at them as if they are any other business and thus focus their underwriting on adequate cash flow, collateral and credit when approving funding. However, and with increased activity over the last few years, the Small Business Administration (SBA) has developed a streamline financing program that pre-screens franchise programs to speed up the application process for SBA backed funding. The SBA, regardless of business type, has three main lending programs - two of which we will focus on here. The third program is their Micro Lending Program which can provide up to $35,000 for new businesses and up to $50,000 for established businesses. Do know that through any of the SBA's loan programs, the SBA does not make direct loans to business owners. Their programs are designed to facilitate small business lending in the market by leveraging existing lendable dollars. Thus, the SBA only guarantees these loans. The idea is to entice banks and other lenders to take a little more risk in providing business loans to borderline borrowers - borrowers that may not fully meet the lender's loan policies but that still have upside potential - like franchises. Therefore, even though a business borrower may apply for and receive what is called a "SBA loan"; these loans must still be underwritten and approved by a qualifying bank or lender before being guaranteed by the SBA. The SBA's premier program is their 7(a) loan program. This program is designed to help business owners either purchase a new business (either new outright or just new to the borrower) or expand an existing business. Loans can be used for purchasing or constructing buildings, purchasing new equipment and machinery or working capital for seasonal businesses or inventory centric businesses. In most cases, the SBA will guarantee up to 90% of the loan amount - still requiring the borrower to provide at least 10% in equity (cash or value). Further, under the 7(a) program, the SBA offers specialty subprograms designed for businesses (including franchises) that export products, operate in underserved rural areas or for specially groups like veterans and military personnel. 1) A loan secured from a private bank or lending institution for 50% of the project's cost. 2) A loan secured from a Community Development Corporation (CDC) for 40% of the project's cost. 3) The reaming 10% provided by the business owner (borrower). These loans can be use for almost everything that a 7(a) loan can be used for with the major exception being working capital. The idea here is that the banks, CDCs and the SBA want to further secure these loans with high value collateral like property and equipment. The main benefit is allowing business borrowers (even franchisees) to access capital to start, buy or expand a business; capital that they might not be able to get anywhere else. Fixed interest rates. Most standard or traditional business loans are variable rate facilities. The reason is that banks and other lenders want to ensure that should their costs of funds rise, they do not get upside down in these loans. Capped interest rates. The SBA caps the interest rates on the loans it guarantees. It does not set the actually rate as that is negotiable between the lender and the borrower. But, the SBA does set the maximum amount that a lender can charge. Long-term financing. Most SBA loans are termed at 10 to 25 years. While interest rates can play a major part in the affordability of a loan, longer terms play a bigger roll in reducing the monthly payment amount many times being the only issue that can keep a payment inline with the business's cash flow numbers. Benefits specifically for franchises: The SBA really likes to back franchisees. The main reason is that these entrepreneurs are not in business by themselves. They have a huge support network, a tried and true business model and ready made customers who already know and understand the brand. This is a home run in the business world and provides the SBA with some assurance that the franchise will be a success. Time. SBA loans take time as they have to be underwritten by both a lender and the SBA. And, since the SBA is part of the government, their portion can take a substantial amount of time. SBA loans can have higher initial fees (in additional to interest rates) as the SBA also charges to underwrite the loan request and collects a fee to replenish the guarantee fund. However, most of the SBA's fees can be financed into the loan. These guaranteed loans still have to be approved by a bank or qualified lender. And, if these lenders are not making business loans, it doesn't matter how much the SBA guarantees. As stated, the SBA keeps a list of pre-screened franchises. However, just because your franchise is not listed does not mean that the SBA will not back it. 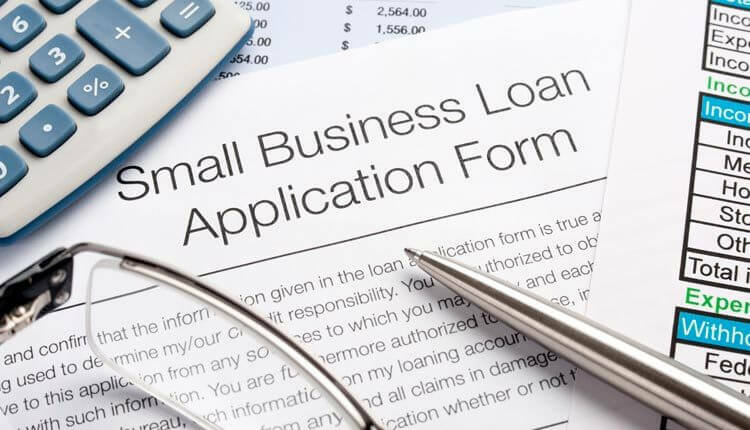 It only means that your application process for a SBA business loan may be extended; giving both the lender and the SBA time to qualify the franchise, its system and you, the borrower. If you are thinking about buying into a franchise but are worried about financing (in the beginning and as the business grows), take a little time and see if a SBA guarantee loan program will work for you. You just never know what you might find and finally be able to realize all your business or franchise dreams. For more information about the SBA's business loan programs, visit the SBA's website or talk to your local bank (just remember that not all banks offer SBA loan programs, so shop around).